Home / Blog / Time to Make the Shift? 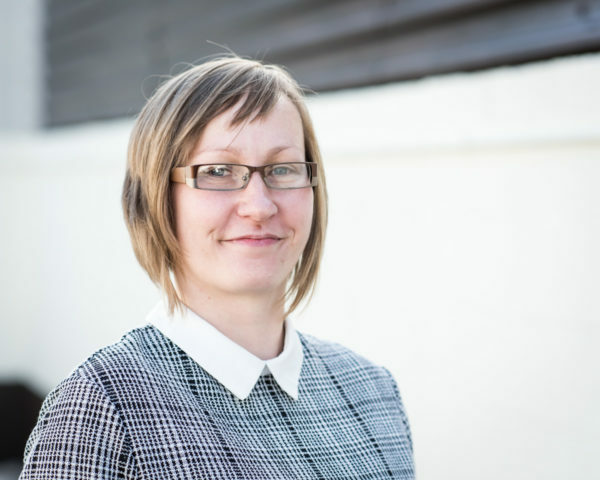 Tai Pawb Director Alicja Zalesinska considers in greater detail the practical implications of the potential right to adequate housing in Wales, supporting the call for incorporating it into Welsh legislation. Originally published in Welsh Housing Quarterly. What would be the impact of the right to adequate housing in Wales and could it provide a different way of approaching and potentially solving some of the policy and practice challenges we are facing in housing today? Tai Pawb’s recent conference, Close to Home, focused on the importance of human rights in housing and helped us begin a conversation that is perhaps long overdue: do we need the right to adequate housing in Wales? I was pleased to see the amount of interest and debate that it has generated on the day and in the subsequent months. This year we have also seen a call for the incorporation of the right to housing by the Chartered Institute of Housing Cymru (as part of affordable housing review) and a similar call by Shelter Cymru at its conference. The level of interest in this topic (especially from people who are not human rights or housing campaigners) has been pleasantly surprising and maybe it signifies a deeper change in people’s perception of housing. The human impacts of poor housing, insecurity and homelessness are now widely discussed, but also discussed differently. It feels like it took the terrible tragedy of Grenfell Tower for the general public to see the human face of the housing crisis. With this comes the need and a hope for a vision that would shift the paradigm of the way housing and home is understood, namely as being central to the dignity of every person. In Wales, people’s right to a home was protected as far back as 1285, as part of the laws of Hywel Dda. So, the concept of human rights is neither new nor foreign in origin, contrary to what many opponents of human rights would like to think. As Simon Hoffman explains, elements of the right to housing feature in several international human rights frameworks, but it is the International Covenant on Economic, Social and Cultural Rights (ICESCR) that recognises it as a right on its own. Wales is signatory to the Covenant through United Kingdom obligations but it is not part of our domestic law which means breaches cannot be challenged in courts and there is no formal mechanism for implementing it or scrutinising policy, legislation or indeed budgets in terms of their compliance with the right to housing. Rights have little meaning without an effective implementation framework backed by legislation and that is one of the reasons why we are arguing for the need to incorporate it into Welsh law. What would the right to adequate housing mean for Wales? There is a popular misconception that the right to adequate housing means that the government has to build a home for every citizen. This is of course a myth,it is more about supporting social progress, with special focus on those most disadvantaged – and this fits in very well with Tai Pawb’s purpose of inspiring Wales to be a fairer place to live and, in fact, it would be difficult for anyone to argue against this goal. The right is based on a principle of progressive realisation, which means that there is certainly no expectation that the right will be immediately fully realised. Instead, a pragmatic and balanced approach is necessary. However, it does require states to take immediate deliberate, concrete and targeted steps to effectively plan how the right will be realised and how the state will make sure that a wider range of people can enjoy it, for example through national housing policy or strategy. In Wales, we are arguably in need of a national housing strategy. Perhaps the current affordable housing review will lead to one. Incorporating the right to housing would mean that any such strategies and subsequent reviews have human rights at their centre. The consideration of whether and to what extent the right to adequate housing is being realised in Wales, with specific focus on disadvantaged communities, would be central to any future reviews of this kind and to their scrutiny. Another myth related to the right to housing is that it means that the governments can force the private rented sector to house people in need. Human rights law however dictates that the impact of the right to housing needs to be balanced against the impact on the enjoyment of other rights and should not disproportionately or unnecessarily limit those (for example rights related to private property). The right to adequate housing is about strengthening and formalising political and government commitment and action aimed at recognising and protecting the notion that a home is central to the dignity and possibility of every person [Right to Housing Report]. Housing is recognised as one of priority areas in Welsh Government’s Prosperity for All strategy and it is great to see it. A Welsh right to adequate housing however, could mean a more ambitious, far reaching and most importantly permanent vision that recognises housing not only as key to prosperity, but also to possibility and dignity. Detailed UN guidance on elements of adequate housing defines home as much more than four walls and a roof. Adequacy must meet the following criteria: security of tenure, availability of services, materials, facilities and infrastructure, affordability (the cost cannot compromise the enjoyment of other human rights), habitability, accessibility, location and cultural adequacy. It is beyond the scope of this article to provide a detailed description of these criteria, but these certainly help interpret what a good home actually means when policy is made and protect against too narrow interpretations of the right. They can also serve as a basic floor of reference and protection for setting housing standards or challenging any changes to standards if these undermine the right to adequate housing. All of this is certainly very pertinent in the current economic (and sometimes political) climate, which brings with it serious affordability and accessibility challenges. Human rights guidance requires the state to use its maximum available resources in its actions towards the right to housing and show that they are doing everything they can within those resources to protect and promote the right to adequate housing. There is, for example, detailed guidance on austerity measures –guidance, which, if the right to housing was a reality, would certainly make some of the recent and current measures illegal. Could the right to housing lead to significant change in Wales? One of the key outcomes would hopefully be the strengthening of the role of housing through provision of guidance and a legal framework against which all future policy and legislation could be measured and challenged; be it housing policy or policy and legislation with an impact on the right to housing, including health, welfare and budgetary decisions. This would consider how to make sure that any future policies do not violate the right to adequate housing, don’t lead to a regression in the significant progress in Wales and most importantly, lead to a progressive realisation of the right in Wales. The right to housing is not a panacea for the housing crisis, but it would certainly provide a basic floor of protection against the undermining of the right to housing by any future policies. Aspects of welfare reform and austerity measures, for example, were heavily criticised in the most recent UN report on the UK as undermining the right to adequate housing. It can be argued that the commitment to social housing in Wales has been stronger than in England for some time and we can see signs of housing being given more recognition in how it contributes to other areas of life. Examples include Welsh Government’s Healthier Wales plan and the work of the Future Generations Commissioner. ‘A Wales where good housing is a basic right for all’is also the driving force behind Community Housing Cymru’s Housing Horizons vision. We have certainly built strong foundations towards the right to housing in Wales. Our homelessness legislation is one of the most progressive in Europe . Housing First is expanding and is of course based on a principle that adequate housing is a fundamental human right. But homelessness remains a serious problem and it is clear that new approaches are required to end the current crisis and to prevent its recurrence for current and future generations. The right to adequate housing in Wales would help reconsider and frame approaches to ending the need for intentionality or priority need. Human rights principles that protect those who are most vulnerable or marginalised would also provide a strong challenge for policies that could undermine this, such as the removal of Supporting People ring-fence. Security of tenure is fundamental to the full realisation of the right to housing and there is much to be done to make it a reality in Wales. We could learn from countries where a statutory right to housing means stronger protections against no fault evictions, unfair rents and rent policies and regulation towards long term and secure private tenancies. The right to adequate housing could also make a big difference to the problems that disabled and older people face with accessible housing that were highlighted in the recent Equality and Human Rights Commission inquiry (see box). Human rights approaches require human rights principles to be embedded into any work (these include participation, accountability, equality and empowerment). A rights-based approach is about empowering people to know and claim their rights and increasing the ability and accountability of individuals and institutions who are responsible for respecting, protecting and fulfilling them Perhaps, if such an approach had been followed, the Grenfell tragedy could have been avoided. It is also highly relevant to the current ‘tenants at the heart of regulation’review. Finally, perhaps the most important impact of the right to housing in Wales would be a cultural shift towards a recognition that a home is central to the dignity and fulfilment of every person. Much of our legislation, policy and decision making is based on a needs-led approach, which appeals to charity. A human rights approach translates need into a matter of entitlement with dignity. This in turn translates into action and accountability underpinned by a statutory framework. Progress towards the Welsh Government’s target to build 20,000 new affordable homes is looking good but we know 20,000 is not enough. Could the human rights approach help us unlock some of the barriers being considered in the current Welsh Government affordable housing policy review and work across the government and all sectors to aim towards realisation of the right to adequate housing for all? We know that none of the issues of homelessness, accessibility, affordability and security, can truly be addressed without a much greater supply of truly affordable, accessible and good quality homes. The right to housing would provide the right framework to achieve this. Where would a right to housing have made a difference? Over the last few years we have dealt with any number of housing issues and I would argue that the outcome of some of those would have been different if we had a right to housing in Wales. To demonstrate this, let’s consider one example: adaptations and accessible housing. 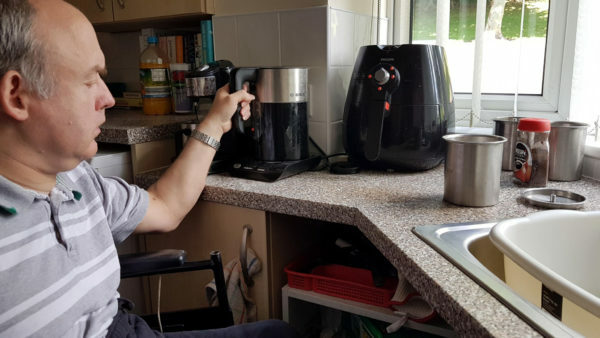 The recent inquiry into housing and disability by the Equality and Human Rights Commission concluded that Wales is experiencing a chronic shortage of accessible housing. One of the many contributory factors is the inequitable system of funding and executing housing adaptations in Wales. The system means that one disabled person needing a particular adaptation could have it installed in their house within three months, whilst their neighbour, with the same requirements will wait 12 or more months, purely because they live in a different housing tenure (or with a different type of organisation), while their health and well being is deteriorating. This is not a new issue. Numerous reviews and inquiries have been carried out over the past 10 or more years including this year’s Wales Audit Office and Public Accounts Committee reports: all heavily criticising the lack of progress on this issue. Interestingly enough, no stakeholder, including Welsh Government and local authority representatives, disagreed. This lack of progress is in conflict with the right to adequate housing because it undermines access to the right for a whole group of people. Accessibility, non-discrimination and focus on disadvantaged groups are also key underpinning principles of the right to housing while the right also requires clear strategies and plans aimed at ‘progressive realisation’using ‘maximum available resources’. So would having a ministerial duty to pay due regard to the right to housing 10 years ago have resulted in more progress on this issue? It could be strongly suggested that it would. Lack of progress has had and still has an immense impact on the lives of disabled and older people and fundamentally undermines their right to housing. Arguably, there would also have been more onus on ministers to consider and address the adverse impact of inequitable funding and operating systems, even though they might be operated by other organisations.